Is Teaching Right for Me? Teacher Salary – What to Expect? What is a Teaching Certificate/Credential? What is Professional Development for Teachers? The Master of Arts in Teaching (MAT) from the USC Rossier School of Education prepares aspiring teachers for diverse and high-needs educational settings and can be completed in less than 18 months. The University of Dayton’s top-ranked online MSE in Educational Leadership program prepares students to become effective leaders in grades pre-k to 12. No GRE scores are required to apply. Earn Your Master's in Teaching Online from FordhamFordham University’s online Master of Science in Teaching program prepares students for NY state initial teaching licensure in grades 1 to 6. Complete in two years—bachelor’s degree required to apply. Teaching is one of the most powerful ways to affect change in the world. Indeed, teaching is a way to contribute to those you teach and everyone they touch. The following steps will help guide your journey toward becoming a teacher in the state of Pennsylvania. First, you need to consider in which setting you would like to teach. For example, would you like to see yourself teaching in elementary, middle, or high school? Would you like to be in special education? If you have a passion for a specific subject, you should consider becoming a high school or middle school teacher. If you prefer to teach multiple subjects, you can consider becoming an elementary school teacher. Answering these questions from early on will help you stay on the right pathway. In Pennsylvania, the basic education requirement for becoming a teacher is obtaining a Bachelor's Degree and completing a teacher preparation program. The degree may be obtained before one is admitted to a state-approved teacher education program or as a part of such a program. Or, if one is seeking to teach in a vocational subject area, one must have two years of full-time wage earning experience in the area of the certificate requested. Teacher preparation or education programs should be accredited by the newest accrediting agent, CAEP (Council for the Accreditation of Teacher Preparation). Former accrediting agencies were National Council for Accreditation of Teacher Education (NCATE) and Education Accreditation Council (TEAC). As mentioned earlier, this step can occur while obtaining a Bachelor's Degree if you are in a "blended" program, but it can be completed on its own as well through alternative programs. In addition to having a Bachelor's Degree and completion of a teacher education program, a 3.0 GPA is required to seek a teaching certificate in Pennsylvania. Teacher preparation programs usually include fieldwork in a classroom as well as a set curriculum at your college or university. The classes you will take generally cover pedagogy, methodology of teaching, differentiated instructional strategies, and effective classroom management practices. Your courses may also explore typical developmental stages for students of varying ages. The fieldwork aspect generally consists of classroom observations and student teaching or interning. As a student teacher, you will work with a master teacher to develop and deliver lessons to students over a set period of time. There are other paths to becoming a teacher in Pennsylvania besides the traditional one detailed already. You may be able to obtain your Pennsylvania teaching certificate through a Teacher Intern Certification Program provided that you already possess a Bachelor's Degree. Requirements for this route may be found on the Intern Certification section of the Pennsylvania Department of Education's website. 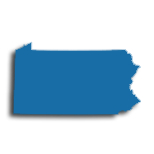 A list of the state-approved Teacher Intern Certification Programs is offered by the Pennsylvania Department of Education. In addition, you may obtain a teaching certificate by holding a Passport of Teaching credential from the American Board for Certification of Teacher Excellence (ABCTE). IF this applies to you, you may be eligible for a Pennsylvania Instructional I certificate. As of February 5, 2015, the qualifying subject areas ares are secondary English, secondary mathematics, secondary general sciences, secondary physics, secondary chemistry, or secondary biology. Once the ABCTE Passport certificate is earned, the candidate will be able to apply for a Pennsylvania Temporary Teaching Permit (TTP). This permit will be valid for one calendar year and can be obtained through the Bureau of School Leadership and Teacher The TTP will allow the candidate to teach in a public school under a "mentoring" program. The mentoring program requires that the candidate is placed in a full-time classroom in the certification area. Additional details on certification testing requirements are provided by the Pennsylvania Department of Education. The Pennsylvania Department of Education requires that all potential Pennsylvania educators apply for a certificate through the Teacher Information Management System (TIMS). There are several forms that must be submitted during this process, including official transcripts and passing test scores. Now you are ready to find a job at a school in Pennsylvania! You have the power to change the lives of students as you help them reach their potential. Pennsylvania is currently experiencing a shortage of teachers certified to teach languages, math, sciences, and special education. School districts in the state are responsible for posting individual job postings on their independent job sites as required. Applicants should apply to the district directly. The Department website does link to several third party sites for job listings such as: 50 States' K-12 Job Opportunities, Pennsylvania School Boards Association Professional Vacancy List, SchoolSpring.com, and Teach Philadelphia and Teachers-Teachers.com. Upon being hired, teachers may join a labor union such as the Pennsylvania State Education Association (PSEA) or the AFT Pennsylvania chapter. There are also alternative affiliations that teachers can join, such as the Keystone Teachers Association (KEYTA). Finally, upon retirement, teachers can withdraw their contributions to the Public School Employees' Retirement System (PSERS) on a monthly basis. Working teachers can track their mandatory contributions through PSERS' web portal. Teachers may wish to work outside the public school system, in which case, applying to any of the state's 2,111 private schools is advised. Teachers should know that compensation, advancement, and benefits in private schools can vary greatly from what the public system offers. Although the state does not require private schools to hire only certified teachers, many private schools prefer to do so. The table below lists the number of public school teachers in Pennsylvania by grade level during the 2012-2013 school year. There are more than 2,070 private schools with an estimated 19,300 private school teachers in Pennsylvania. The table below details the number of teachers by grade level during the 2011-2012 school year. Research and anecdotal data show that highly effective teachers are those that engage in ongoing, relevant, and high quality professional development. In fact, every state has professional development guidelines that ensure that teachers complete a minimum number of hours for professional development in order to renew their teaching license. Commonly, educators may choose professional development opportunities in the following broad categories - integration of subject matter in the classroom, strategies for teaching diverse student populations, assessment and evaluation, school support and administrator roles, and self-reflection. In addition to boosting student achievement, teachers who engage in professional development more often fulfill their career and salary goals too. In the state of Pennsylvania, the state department of education has mandated that all educators must earn six credits of collegiate study, six credits of approved continuing professional education courses, or 180 hours of continuing professional education programs every five years in order to maintain current status as a practicing teacher. Teachers that have further questions regarding this process are welcome to contact their school district representative or their administrator. Your initial PA teaching certificate is designated a Level I provisional certificate that is valid for six years. Once you have been teaching for three to six years and have earned 24 post-baccalaureate credits, you are eligible to apply for your Level II permanent certificate. Earning a Level II certificate is a requirement. You must convert your Level I certificate to a Level II permanent by the end of your sixth year of teaching before your provisional certificate lapses. The 24 credits needed to transition from the Level I to Level II permanent certificate can be earned in a number of different ways and don't necessarily need to be part of a graduate degree. Still, many educators in PA choose to pursue a master's since the post-bac credits you're required to earn can be applied toward a master's. With a master's consisting of between about 30 and 56 credits, you could be halfway to earning an advanced degree with the 24 credits you're required to earn anyway. 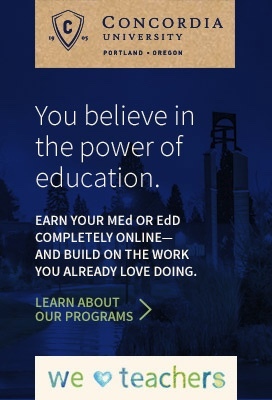 You can earn your degree in education, or specifically in the subject you're certified to teach so long as you meet the Level II certificate requirement by making sure at least 6 of the 24 post- baccalaureate credits are designed to improve professional practice in the area or areas you're certified to teach. Find other information on Pennsylvania Department of Education post-bac credit requirements for Level II certification here. You can submit your Level II permanent certificate application through the Teacher Information Management System (TIMS). In addition to satisfying the educational requirements needed to advance from Level I to Level II certification, a master's degree will broaden your professional opportunities, hone your skills (which will allow you to bring more to the classroom, resulting in better student outcomes), and open the door to better pay. In fact, most districts in PA reward their master's-prepared educators with higher pay. For example, the starting pay for teachers with bachelor's degree in the Philadelphia School District is $46,267. However, those with master's degrees earn $47,268, a difference of about $1,000. And teachers with a master's+30 earn even more, at $50,607, a difference of more than $4,000. The difference in pay between bachelor's and master's teachers here becomes greater as the experience level increases. For example, mid-career educators earn an annual salary of about $65,326 with a bachelor's degree. Educators at the same level who hold a master's degree earn $69,144, an increase of nearly $4,000. We believe teachers inspire our future. Teacher.org is a website for teachers by teachers, and we aim to continuously inform and encourage teaching!